Nutri-Cal is a high calorie supplement for dogs and cats. Ideal for dogs as a source of easily digested and accessable calories when needed. 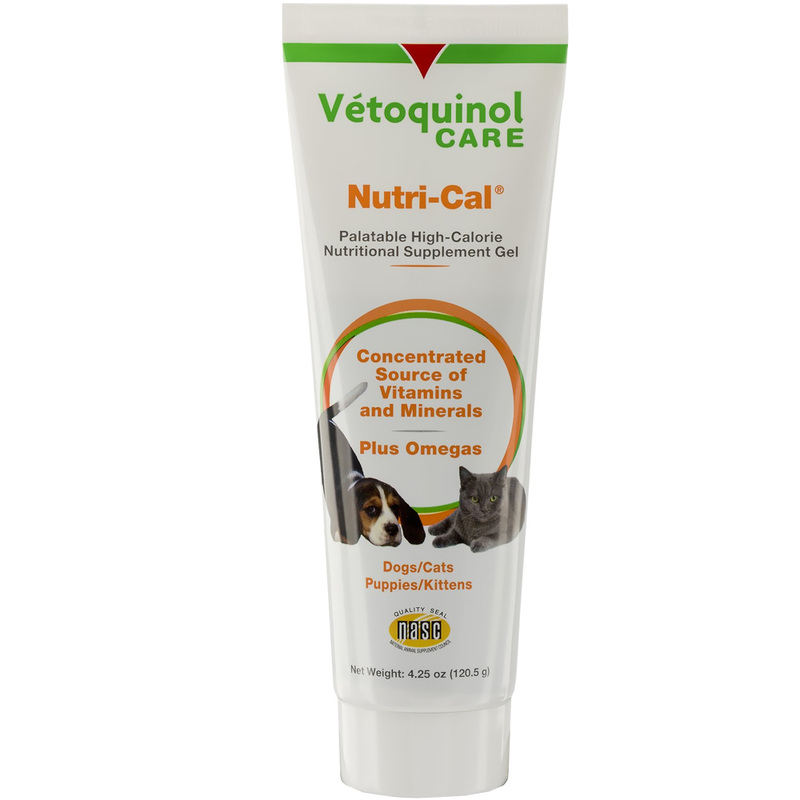 For over 30 years, Nutri-Cal has been the brand most trusted and recommended by veterinarians. Preferred by pet owners worldwide for its palatability and ease of use. Nutri-Cal is highly palatable. To acquaint your dog or cat with the flavor, place a small amount of gel on its nose or in its mouth. To supplement your dog or cat’s caloric or nutritional intake: 1 1/2 tsp per 4.5 kg of body weight daily. When your dog or cat is not eating its full ration: 3 tsp (1 tbsp) per 4.5 kg of body weight daily. One tsp is equivalent to approximately 6 g of Nutri-Cal.